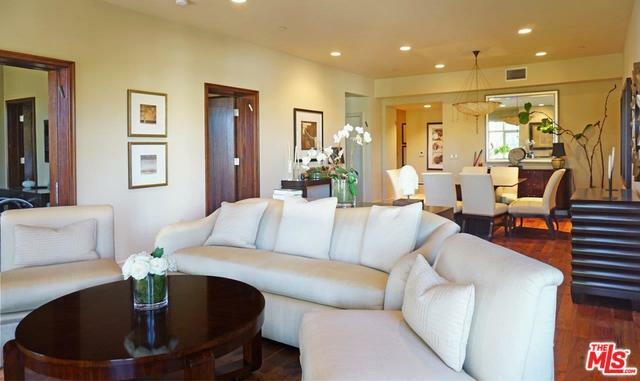 This Chic luxury residence w/ designer finishes awaits you in the heart of Beverly Hills. Built in 2009 with meticulous attention to detail, this ultra-luxe contemporary at the exclusive La Terrasse offers unparalleled amenities & elegance. 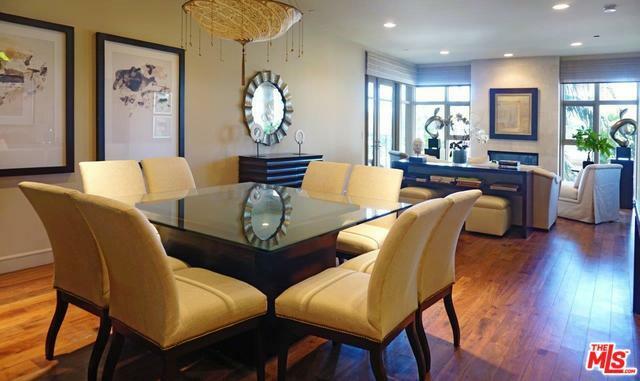 Rivaling a five-star resort, this 2 bed, 2.5 bath home is a true showplace. From its floor-to-ceiling limestone fireplace to state-of-the-art appliances, the high-end residence feels much like your own single-family home. The lavish master suite is retreat of its own featuring His & Hers walk-in closets. The ultimate in relaxation, the spa-like master bath boasts marble floors and counters, soaking tub & shower. Second bedroom is currently set up as a den/office. A concierge in the reception lobby, stadium-seating media room, fitness center, in-unit washer/dryer, 3 parking spots and 4th floor outdoor entertainment deck complete this ultra-lux lifestyle. The residence is located near West Hollywood, Craig's & Ciccones' Restaurants. Listing provided courtesy of Richard Maslan of Hilton & Hyland.